With the advancement in technologies every other day, the world of gaming too has gone through several changes, each one of them being better than their previous versions. But with so many gaming gadgets available in the market today it becomes really difficult to know which ones the best and most desirable as well. But don’t worry! We have got it covered for you! So here is a list of 5 of the coolest gaming gadgets that you will absolutely fall in love with. Have a look at these! This is one of the most popular gaming gadgets among all. It is designed in such a way that it can work with both your PC as well as your MAC. This feature of it makes it pretty standard quality. You can also make it work with your mobile phones by the help of a Bluetooth. You can either connect it with your android or an iphone and there you go! Once you charge it fully, you can play with it for 10 hours nonstop! With a thickness of just 2.2 mm, this is a perfect gadget which can be used as a mouse pad by all the gamers out there. Also it has a lot of unique feature one of it being its micro textured surface which makes it quite easy to slide on the surface. It can work with both optical mice and even the lasers. This is the generation keyboard that features a display which is customizable and allows the gamer to track their gaming stats. One can also track ones gaming stats even when they are not plying the game currently. With 12 programmable keys and 36 different functions. This keyboard has two different USB ports as well. This is the official gaming wheels of the Gran Turismo which is also one of the most iconic and ultimate driving games we have had so far. The wheels are vibrating and let the gamer experience the actual driving scenario. The wheels vibrate in such a way that a shift can be experienced in terms of weight balance and once can even feel the bumps that come while driving on the surface of the road. Also you can drive at a 900 degree rotation which makes the gamer feel like they are driving an actual car. Also the sensitive throttle and the brake paddle add more effects to make your gaming an ultimate experience. This joystick is unique in many ways. Without compromising on its features it is affordable in terms of price. It has ten buttons, an adjustable handle height as well as a dual throttle lever. Also since it can run off through your USB port you will not need any batteries for it. 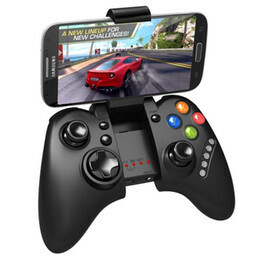 Thus by using the above gadgets you can enhance your gaming experience and enjoy it as much as you can!